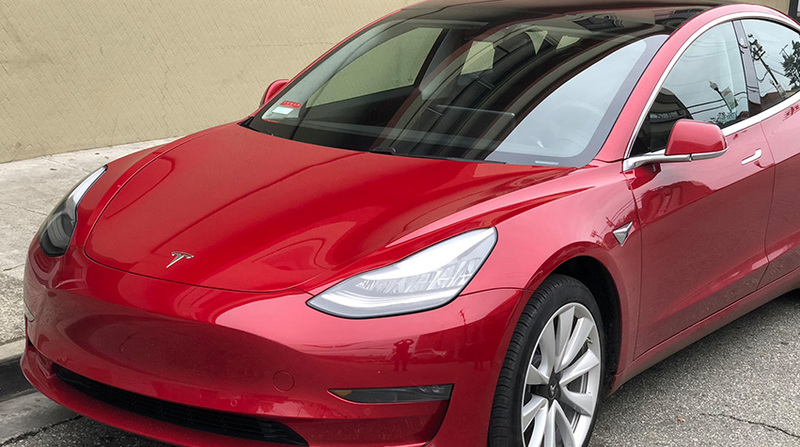 As new model cars of various brands take the market by storm this year, Tesla isn’t left out as it prepares a triumphant entry of its latest Tesla Model Y into the market. It closely follows the newly released Tesla Model 3 entry-luxury sedan but this new creation is rather small crossover SUV proposed to stand among the family of the cheaper Tesla cars, taking the 5th position in the Tesla line up along with the Model S full-size luxury sedan, Model X mid-sized SUV, Model 3 and the upcoming Roadster. Not one single soul can completely tell what the Tesla Model Y actually looks like as the teasers have been shadowy and yet to be completely revealed, however, we do have one or two things to tell about this new machine. The dark shadowy image of the new Tesla Y that was released by the company in June 2018, at a shareholder meeting reveals that the Model Y seems to have a windshield with something more of a skylight, a slight part of its wheel was seen at the shot but the picture did not even cover up to the back half of the vehicle, leaving fanatics teased and highly curious about what to expect. Judgements have been made from existing information and the more or less cryptic image that if the Tesla Model Y happens not to have the 113.2 wheelbase of the Model 3 and perhaps slightly bigger than that, then it should likely be a competitor to smaller crossovers such as the BMW X3 and Acura MDX both in size and price. Since it is likened to those very cars, it is also in place to think of the Y Model as a car-based SUV that would possess the tall seating position and the wide rear cargo area space that much truck-like SUVs have, but will be in combination with the fuel efficiency and compliant handling of a passenger car. As for the price tag, although that hasn’t been set, predictors pass the idea that the Model Y will probably fall within the price range of the Model 3 which is $35,000 base price. Elon Musk, CEO of Tesla, declared that the vehicle will soon be unveiled long before it enters into production in 2020.